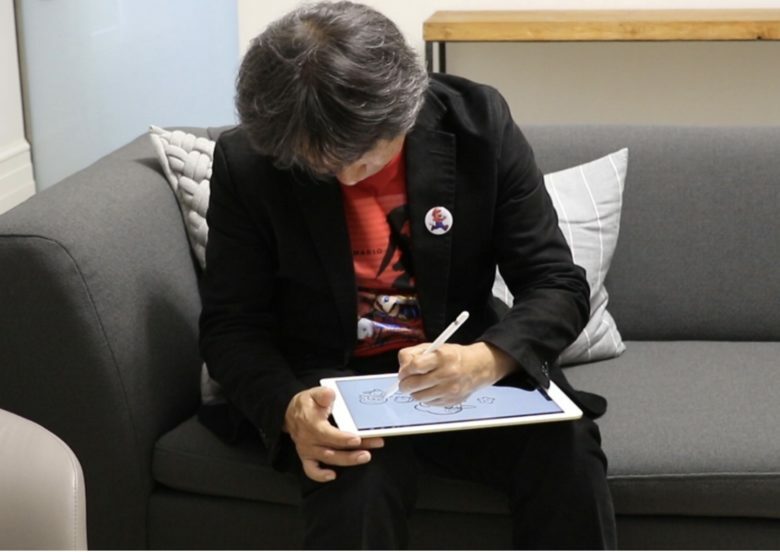 Miyamoto tries out a freehand sketch on the iPad Pro. Were you worried that Nintendo was going to go down the free-to-play route with its games? Don’t worry: Shigeru Miyamoto has your back. The legendary game designer behind many of Nintendo’s most iconic titles is urging his colleagues to shun the freemium business model for games. Speaking at the Computer Entertainment Developers Conference (CEDEC) on Wednesday in Yokohama, Japan, Miyamoto was unusually candid about the reality of gaming in 2018 — and even mentioned some of Nintendo’s failures so far in its approach to app gaming. When Miyamoto talks about the fixed-cost model struggling, he is likely referring to Super Mario Run, one of the most eagerly anticipated iOS titles of 2016. While it took just four days for the game to attract more than 40 million downloads, and only 24 hours to make $4 million, Nintendo was supposedly disappointed with earnings. The game’s model gave players a short demo to play through, before asking them to cough up $9.99 to unlock the whole game. Notably, when Nintendo released its next title, Fire Emblem Heroes, it adopted a more typical free-to-play system, complete with micro-transactions for gamers who want to gain an advantage. The results may have less less successful from an entertainment perspective, but raked in more cash in terms of profits. Nntendo’s next games will include Dragalia Lost, co-developed with the pro-freemium publisher CyberAgent Inc., and Mario Kart Tour, which will arrive by March.